Employee turnover in the hospitality industry poses a big risk for restaurants, cafes, hotels and the like who are looking to keep things running smoothly. Having a lack of employee retention causes big hiccups in daily tasks and puts companies at risk of not being able to fulfill their duties to their clients and customers. According to the Bureau of Labor Statistics, turnover in the hospitality industry topped 70 percent in 2016, compared to only a 46 percent turnover rate in the private sector. This is an alarming figure highlighted by a number of factors including no promise of job security, longevity or opportunities to advance within a company or position. Also, the hospitality industry attracts potential employees who are might be looking for something short-term and could be ready to give up their job when something better comes along. With staff retention so low and turnover so high, is there anything that can be done to figure out this issue? There are many reasons why staff retention is low within the hospitality industry and some of those have nothing to do with the work itself. One reason can be housing or cost of living in a certain area. If someone is making minimum wage as a table busser or in house cleaning, will they be able to afford living in a high-rent city like San Francisco or Seattle? Some hospitality companies now employe human resources representatives whose sole role is to manage employee housing, helping employees search for affordable housing in areas. Another factor playing a role in staff retention is work-life balance. A lot of employees in the hospitality industry have more going on than their single job at a hotel or restaurant. From family life to schooling to additional jobs they may have to make ends meet, or a combination of all those things, employees in the industry have a tougher time balancing everything out with a demanding and stressful schedule within the hospitality field. This is why it’s important for restaurants and bars, for instance, to have hospitality insurance programs set to protect against liabilities or claims of employees being unfairly treated. If a disgruntled employee is stressed out from being overworked, they could turn around and claim they were not being listened to or that their needs weren’t being considered. Unless someone goes into a hospitality position with plans of making it a long-term role, growth may not be on their mind. But even if it is, career pathways aren’t always easy to come by. Career development within the hospitality industry is something that needs to be emphasized in order to retain staff. While the hospitality industry is one that is fast-paced and might not come with opportunities to slow down and take time to develop employee roles, there can still be moments where hands-on education and training can come into play. Offering opportunities where employees can train and get experience in order to grow within a company can boost morale and possibly reduce turnover if a job turns into a long-term position. One strategy in which turnover can be reduced in relation to growth is cross-training. This system is a good fit for those working in a busy restaurant or hotel. Current employees can take on new duties and responsibilities as a way to encourage them to move forward. Sometimes people get hired for the wrong job, but they find more use and more inspiration in different areas. 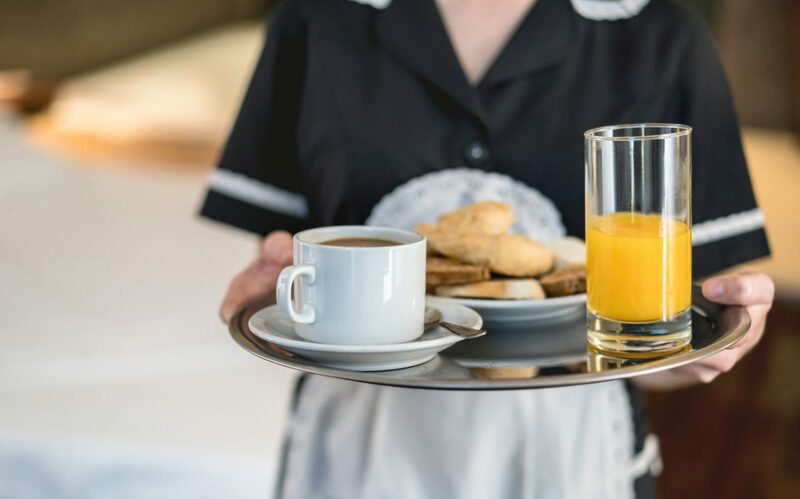 No matter what the reason is, the hospitality field is one that currently sees a lot of turnover, but it’s also one that can adjust to create opportunities of bolstering retention. Taking steps to understand employee needs in order to encourage growth and training can help to keep employees longer.